This adorable female (cool, right?) ginger tabby is Creamsicle! She is a super sweet, making-biscuits-all-day kind of girl. 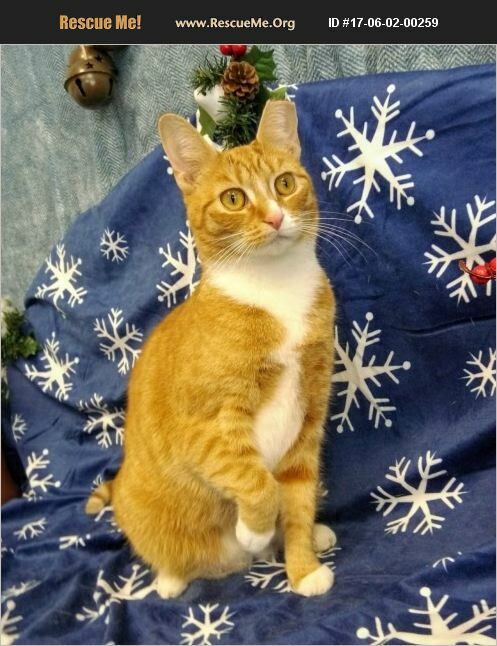 She is a beautiful orange and white tabby short hair, only about a year and a half old. We have more photos and videos of her. She was ear tipped because when we first met her, we rescued her from an outdoor feral colony. We think she was dumped there because she is sweet and not a feral cat. She is spayed, microchipped, vaccinated, FeLV/FIV tested negative, dewormed, and current on Revolution. Please let us know if you're interested in meeting Creamsicle. She is currently at our adoption center at PAWS vet clinic in Indian Head. You can meet her there during their normal business hours. Bring her a treat or a toy! You will be her best friend!